(CBS/AP) LOS ANGELES - Members of the "Happy Days" cast are clearly unhappy - they're suing CBS Studios, alleging they're not getting a cut of the money made in sales of merchandise related to the television show. 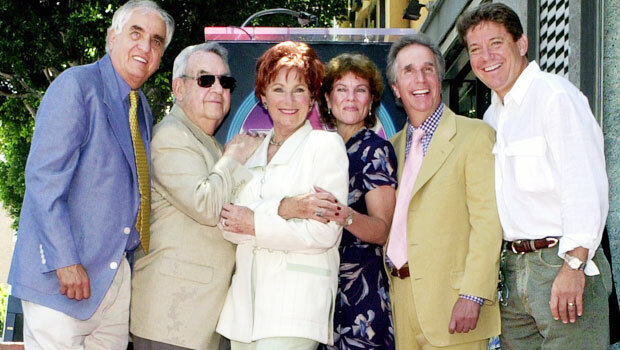 The lawsuit filed Tuesday in Los Angeles Superior Court names actors Anson Williams, Marion Ross, Don Most, Erin Moran and Tom Bosley as plaintiffs. They allege that CBS released DVDs of the show that ruled the airwaves in the 1970s and '80s, and licensed their images to third parties for hundreds of products, including gambling machines and lunch boxes, without sharing revenue reports with them. The lawsuit alleged the "if you don't ask, then we don't pay" policy violates contracts that mandate a share of merchandise revenue go to the cast. A call to a CBS spokeswoman was not immediately returned. The actors are claiming more than $10 million in damages.